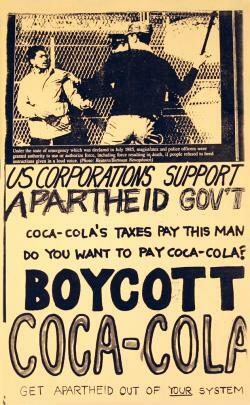 US corporations support apartheid gov't. Coca-Cola's taxes pay this man. Do you want to pay Coca-Cola? Get apartheid out of YOUR system.